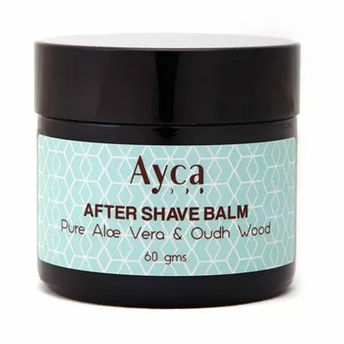 Ayca's Oudh Wood After Shave Balm is a non-sticky, soothing facial gel made from pure aloe vera which leaves the skin feeling refreshed and hydrated. It has a very light and non-greasy formula that is enriched with the fragrance oil of Oudh Wood. It calms and soothes inflamed skin. Also heals cuts and redness caused due to shaving. Pure Aloe Vera with a cellulose-derived gelling agent and Agarwood Oil. Alternatively, you can also find many more products from the Ayca Oudh Wood After Shave Balm range.